The Minister of Communications, Barrister Abdur-Raheem Adebayo Shittu has said that the Federal Government have commenced the processes for the licensing of broadband services on the 5.4 GHz spectrum bank and allocation of 70/80 GHz band (E-Band), in its efforts to broaden broadband penetration in Nigeria. Though, broadband penetration in Nigeria has reached 20.95%, while the percentage of internet penetration has reached a milestone 47.44%, which makes Nigeria second in ranking in the African continent, he said, there is the need to increase Nigeria's Foreign Direct Investment of $38 billion. Shittu, disclosed this yesterday in a keynote address delivered at the formal opening ceremony of the 4thNational Council on Communications Technology at the Arewa House, Kaduna. Speaking on the theme of the Council Meeting which is ICT As a Focal Point For Economic Diversification, the minister said that the ICT sector can be re-engineered to expand the frontiers of its contribution towards facilitating Nigeria's early exit from recessionary economies. According to him, ICT Innovation and entrepreneurship and the broadening of investment opportunities is one of the key avenues for increasing generated revenue in any economy, Nigeria not an exception. While admitting that ICT has become a fulcrum of the nation's economy, the minister said the 'challenge is how to harness and leverage the opportunities thrown up by the new economy powered by ICT to address the issues of revenue, investments and cost savings'. Stressing that this is not an impossible feat, he said,' many developed countries around the world, do not rely on the export of any raw materials, but on the development and export of ICT', adding that Singapore, India and Thailand are examples of developing countries that have leveraged on ICT to make a difference in their economies. Towards this, Shittu informed the Council that he had facilitated the draft of a Sector Strategic Plan for 2016-2020, to chart a short term framework for the sector while the Ministry will ensure that the ICT in Government Initiatives is sustained. He said, 'Through Galaxy Backbone, Government has provided internet access to about 400 MDAs, over 11,000 nodes of wireless LAN to all MDAs at the Federal Secretariat, over 40,000 email addresses for Government officials under the gov.ng &mil.ng domains. This has ensured that government data is hosted locally on a secured website with data back-up to MDAs and 200 servers hosting 94 MDAs'. 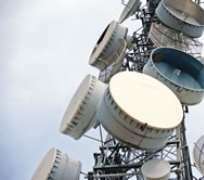 In the area of spectrum management, he said the Ministry of Communications has issued and renewed a total of 668 licenses from November 2015 to September 2016, generating about N500 million as government revenue. Commending council members for attending the 4th Council Meeting which is the first under his leadership as Communications Minister, Shittu said that the National Council on Communications like any other governmental sector council exists to facilitate inter-governmental consultations on ICT mattes and to avoid unnecessary disparities in developmental structures. 'This NCCT platform enables me, as the minister coordinating ICT development in the country to interact with the Hon. Commissioners in charge of ICT matters at the state level towards brainstorming on the optimal approach to ensure effective implementation of ICT policies across the country for enhanced development of the sector in particular and the nation at large', he concluded. The weeklong meeting which took off on Monday will be a rounded off tomorrow Saturday 29, 2016 with a communiquÃ© and media briefing by the Minister of Communications.